When faced with death, people can react in a number of ways. Most respond with fear, others with a weird sense of calm, and some decide at that exact moment that they want to go down in history as totally fearless. Michel Ney was one of France’s top generals during the Napoleonic Wars. In fact Napoleon himself gave him the nickname “Le Brave des Braves” (“the bravest of the brave”). It was a name he certainly earned when it came to his execution. After Napoleon escaped from Elba, Ney was sent to arrest him. Instead, he betrayed the royalist government and rejoined his old emperor—just in time for his final defeat at Waterloo. So when he was captured, it was pretty much a snap decision that he was going to be executed by firing squad. This news apparently made precisely zero difference to Ney, who took it on the chin like he was made of cast iron. 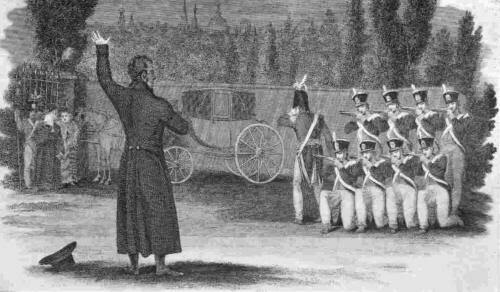 When the day of his execution arrived, he was offered a single last request. So Ney decided to make one so unbelievable that it had to be granted. He asked to command his own firing squad. The last thing anyone ever saw of Ney was him ordering a group of someone else’s soldiers to shoot him right in the face. 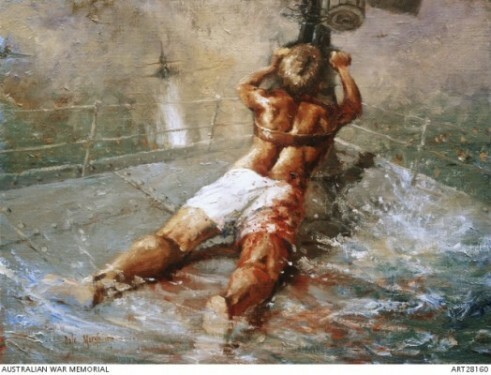 During World War II, Edward “Teddy” Sheean was an Australian sailor stationed on the HMAS Armidale when it came under fire from Japanese Zeroes. After the ship was torpedoed and began taking on water, Teddy immediately set about helping his fellow sailors escape. While freeing a life raft, he was struck by shrapnel from one of the attacking Japanese fighters. Rather than leap into the life raft he’d literally just made available, Teddy got very angry. Dragging his injured frame to a nearby anti-air gun, he strapped himself in and began firing on the attacking planes, shooting down several of them in the process. However, it’s Teddy’s sheer determination that’s really remarkable. Sailors escaping the Armidale recalled seeing tracer rounds emerging from under the water as they escaped. Teddy was still firing on the Japanese as he was being dragged under water—and was likely still pulling the trigger as he drowned. 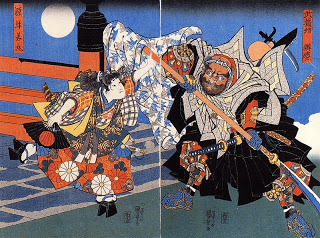 Saito Muashibo Benkei was a warrior monk from Japan who is mostly remembered for perhaps the single most awesome last stand in military history. It was particularly impressive considering he was just one guy—against an entire army. Benkai was good friends with a man called Yoshitsune, who he had promised to defend with his life. When Yoshitsune asked for Benkai to buy him some time while he committed seppuku (honorable suicide), the monk more than lived up to his promise. To do this, Benkai had to hold off a literal army, which he did by slaughtering wave after wave of soldiers stupid enough to get within striking range of him. Considering Benkai was a giant for the time (standing at around two meters, or 6.5 feet) and the fact that he used a naginata (a sword on a stick) as his weapon of choice, his circle of death was probably miles wide. It was only after Benkai had killed entire waves of attackers that the opposing army decided to simply pepper him with arrows. Upon seeing the cloud of death being launched in his direction, Benkai didn’t even flinch. His opponents watched in awe as the monk stood perfectly still while dozens of arrows hit their mark. In fact, Benkai was so deathly still that no one in the opposing army dared to make their move. It wasn’t until someone rode up and knocked his corpse over that they realized that he’d actually died of the arrow wounds. The arrows had inadvertently held his corpse in place, giving his opponents the illusion he was still standing. Their hesitance allowed Yoshitsune to commit seppuku in peace. During the 1939 German invasion of Poland a young officer named Wladyslaw Raginis found himself commanding 700 Poles directly in the path of an estimated 42,000 German troops. To raise the morale of his men, Raginis declared he would never leave his post alive. After three days of intense fighting, the Germans issued the critically injured Raginis an ultimatum: Surrender, or be blown to pieces by the 300 tons of precision-engineered war equipment pointed directly at his bunker. Raginis, realising his men were facing almost certain death, ordered them all to surrender. 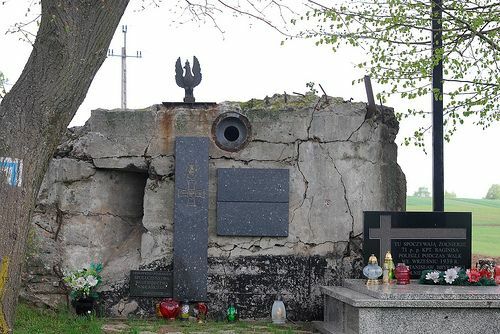 After the last man had stoically filed out of the bunker, Raginis threw himself on top of a grenade, killing himself and sealing off the entrance—and sticking to his word that he’d never leave alive. 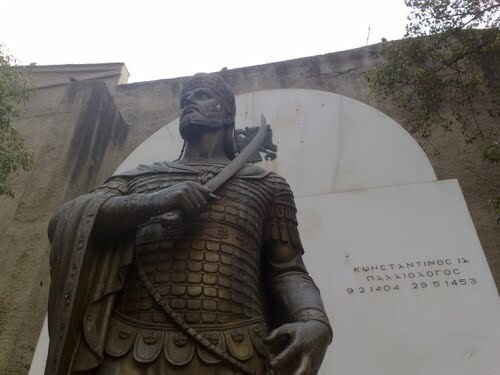 Constantine XI Palaiologos was the last Byzantine emperor in history. And he went out in a way that none of his predecessors had ever come close to matching. You see, Constantine XI Palaiologos didn’t die an emperor, he died a soldier. During the final fall of Constantinople, Constantine and his men were hopelessly outnumbered and facing almost certain death. To ensure his enemy would never find his body and that he would be indistinguishable from his men, the emperor removed his royal garb before leading the final charge. No credible source exists about just what happened after that, there are conflicting tales that have him escaping, being killed, and even taking half the opposing army with him. However, it’s commonly accepted that Constantine died and was buried alongside his soldiers, fitting for an emperor who decided to face his death as a common man. 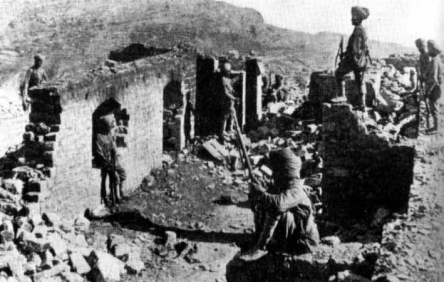 In 1897, Gurmukh Singh was serving in the Sikh regiment in the British Army when he and 20 of his comrades made an epic last stand against a huge Afghan force. Singh holds the distinction of being both the person who relayed the entire battle to his superiors and the last man to die. During the fight, in what is now modern Pakistan, Singh and his fellow Sikhs were outnumbered 500 to one. While his comrades fought up close, Singh shot as many of the enemy as he could with his trusty rifle, all the while using a mirror-like device called a helioscope to alert the nearest forts. Many of the messages were Singh basically begging for permission to stop signaling so he could go fight. After the rest of the Sikhs lay dead, the attacking force had grown tired of being slaughtered and opted to simply burn Singh out of his tower. Though no one knows exactly what happened next, it’s commonly accepted that Singh killed at least 20 enemies while screaming the Sikh battle cry of “Bole So Nihal, Sat Sri Akal.” Again, no one knows this for sure, but this information is said to have come directly from the Afghans—the guys Singh was shooting at. So this is either exactly what happened, or Singh did something more awesome and they toned it down to make it seem more believable. Jan van Speyk (sometimes spelled “Speijk”) was a lieutenant in the Dutch navy while Belgium was fighting for independence from the Netherlands. 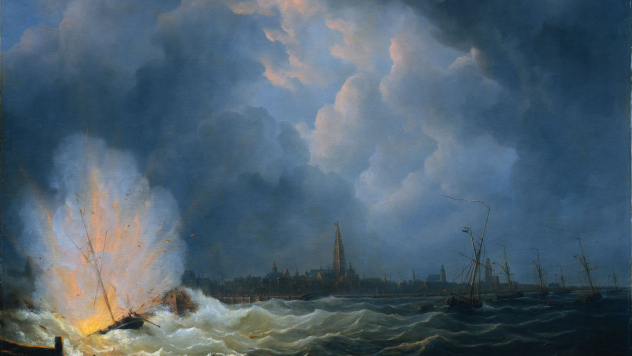 During the conflict, the ship Speyk had been placed in charge of accidentally drifted into Belgian waters, which was unlucky—for the Belgians. Speyk reportedly hated the Belgian independence movement and had sworn that he’d never lose his boat. So when the enemy stormed on board, he wasn’t in the mood for compromise. When the Belgians ordered Speyk to take down the Dutch flag and surrender it to them, he reportedly looked his attackers in the eye and calmly said “I’d rather blow up,” before shooting a nearby barrel of gunpowder, instantly killing everyone on board. Other sources claim that Speyk actually blew up the boat with a lit cigar. Obviously, that would only make the story cooler. 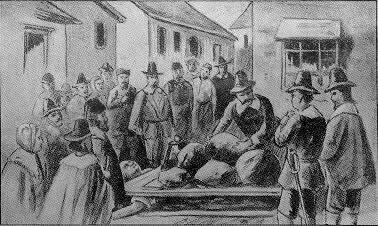 Giles Corey lived in Salem, Massachusetts during the witch trials, and you can probably already see where this is going. When Corey’s wife was accused of witchcraft, Giles made the mistake of telling the girls who accused her that they were being stupid. In response, the girls claimed Giles was a witch too, because if anyone in their town was a powerful warlock, it was the 80-year-old farmer. When they asked Giles to plead guilty or not guilty, he refused. This was actually the best possible move, since in those days a person couldn’t be tried and the law couldn’t seize their property if they didn’t enter a plea. However, to counter this, the town of Salem had a unique method of solving it—pressing. Basically, the accused would be told to lie on the floor while a wooden board was placed on their chest. After the board was in place, heavy stones would be placed upon it until the person pled one way or the other. After several hours with boulders crushing his chest and organs, Giles was asked to plead. His answer? “More weight.” Again and again when he was pressed for an answer Giles defiantly only asked for them to place more weight on his chest (some say it was to end his pain more quickly, we think it was just so his Wikipedia page would look amazing). This continued for days before Giles eventually succumbed to his wounds and died. If they didn’t think Corey was a wizard before this, they almost certainly did afterwards. How else do you explain an 80-year-old man being able to survive being crushed for two days straight? 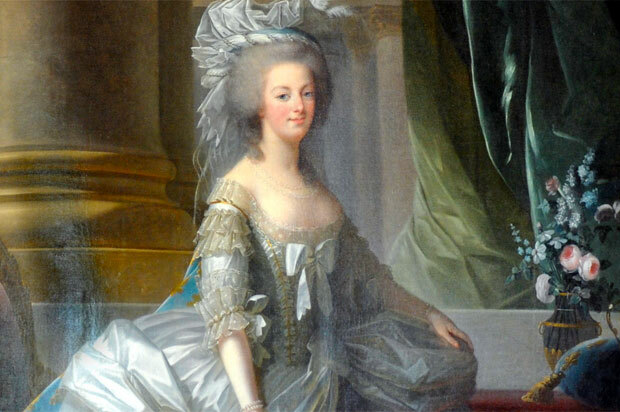 When Marie Antoinette died, she was determined to go out embodying the class, tact, and stiff upper lip associated with her position. This determination was typified by her last words. They weren’t ones of anger, or even a curse against the souls of everyone watching, they were a simple apology to the executioner, whom Antoinette had just offended by stepping on his toe. We’d be inclined to say she went out with the utmost class and dignity, but we already know that’s a lie because we know what the next entry is. 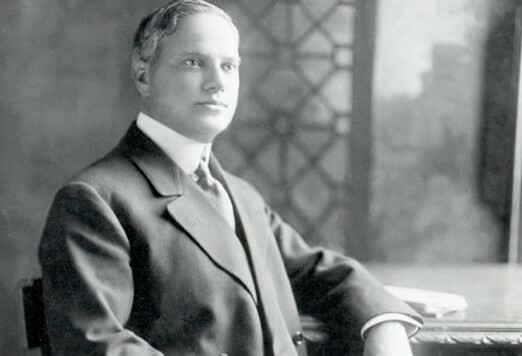 Benjamin Guggenheim was a passenger on the Titanic and on the fateful day it sank, Guggenheim realized he wanted to go to Valhalla looking sharp. As the boat was sinking, Guggenheim and his valet, Victor Giglio, immediately set about helping as many women and children as they could into lifeboats. However, after around an hour, the boat crew noticed that they were missing. Several minutes later, Benjamin and Giglio emerged on deck without their life preservers. Instead, they were now wearing their finest evening wear. When asked why they had changed, Guggenheim simply responded that he wanted to go down like a gentleman and asked for someone to get a message to his wife. You may remember Guggenheim from the Titanic movie—he’s the one who sips brandy on the deck as it slowly sinks into oblivion. Well, believe it or not, Guggenheim actually did that. Except the real Guggenheim was even more awesome than his fictional counterpart, who simply asks for the brandy and walks away without actually helping anyone. In real life, he saved dozens of lives first. That’s the image we want to leave you with, a guy dressed to the nines sitting on a deck chair with a brandy in hand as the entire world collapses around him, completely content that he was going to die like a gentlemen should. If you want to see what else Karl is up to or contact him, do so via Twitter (or Facebook if what you want to say is longer than 140 characters).